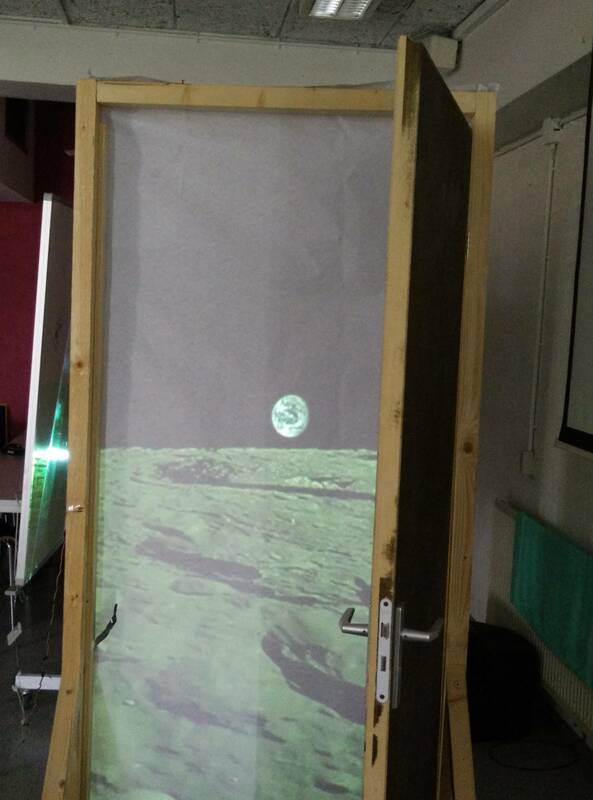 The OF Portal is a door powered by openFrameworks that leads to a randomly selected location each time the door is opened. 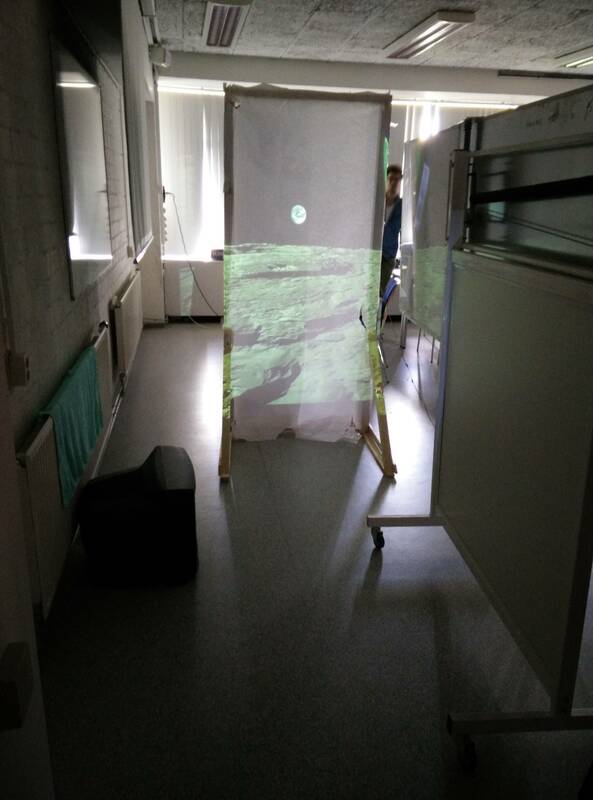 We came to this idea after we found an abandoned door in the workshop of the university, and decided it was a perfect item to use for a project with the theme "space". We drew some inspiration from the movie Monsters inc., and so our project idea came to be. Two wires connected to an arduino are embedded in the frame. When the door closes, a closed electrical system is made, which breaks as soon as the door is opened again. When closed, the arduino sends a byte to openFrameworks. Upon receiving a byte, OF will load random movies every 1,5 second until the door is opened again. The last loaded movie will then keep playing until the door is closed. // this should be set to whatever com port your serial device is connected to. // If it actually is working. ofSerialserial; // Adds ofSerial class to the project.